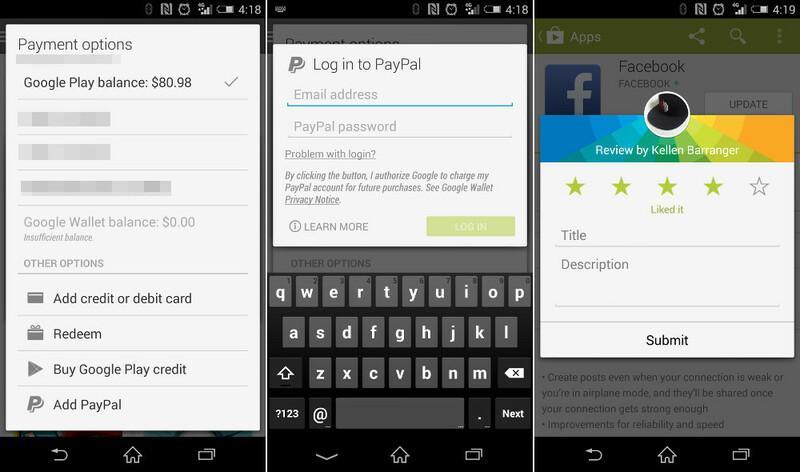 Earlier today, Google announced that it was finally bringing PayPal payments to Google Play purchases of apps and other media in a new update to Google Play. That update is slowly, but surely rolling out, which means you can sideload the apk this very minute if you would like to. We should point out that the update isn’t only bringing PayPal support. Google has fine-tuned the appearance of the app in general, by including bigger buttons on app pages, changing up hero pages with bigger imagery and subtle animations, making the permissions pop-up much easier to read, and changing things like the review pop-up for the better. The update is v4.8.19. 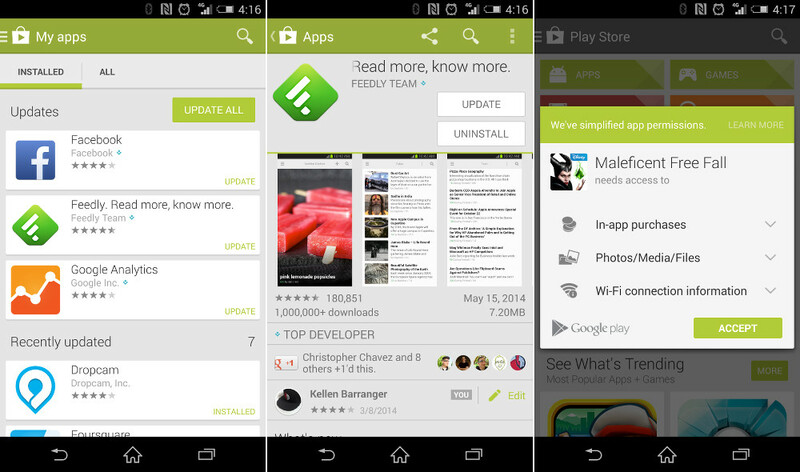 It should install right over the top of your current Google Play build. Enjoy!